Muchalls is a small village not far south of aberdeen. 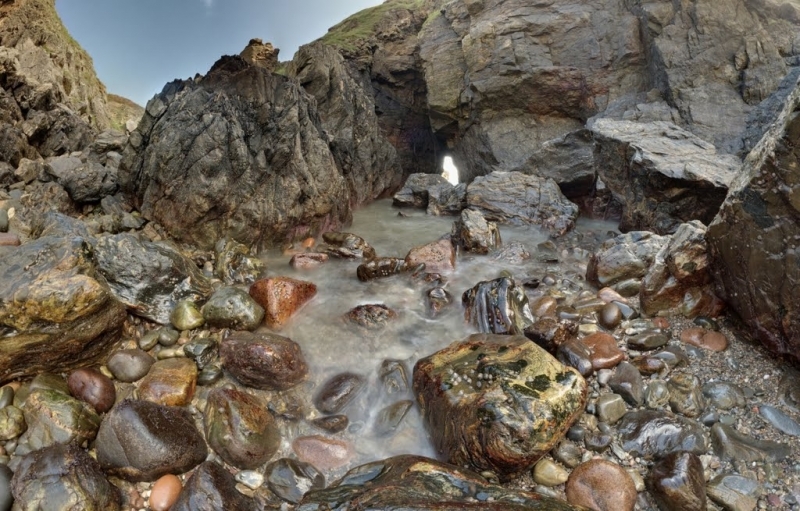 It has a small shingle and rocky beach called Grim Haven and some incredible rock formations and coastal scenery. The tide at Muchalls Beach is currently falling. Low tide will be at approximately 11:12 PM, and the next high tide will be at approximately 5:27 AM tomorrow. Visitor information for Muchalls Beach, Aberdeenshire, Scotland. Weather, tides, visitor comments, beach facilities, photos, nearest postcode, beach information and nearby accommodation.